I’ve always known that I wanted to be a writer. But I haven’t always known how to actually…well…BE a writer. I mean, I learned fairly early on how to write things: sentences, paragraphs, stories, poems…but that’s not what it takes to really be a writer. It’s a big piece of it, but it’s only a piece. There are a few very specific things we need to add into our lives in order to move from being a person who sometimes writes sentences, to being an actual, legit Writer. Just to be clear: a publishing contract is NOT one of those things. Not even close. An English Literature degree is also not one of those things (though some of us do have those kicking around the bookcase). In reality, there are three things we need to have or be doing in order to really be a Writer, & I haven’t always had them. I wouldn’t even say that I totally have them nailed now, actually…which is okay. It’s great, in fact. Because one of the most important things we need to do is embrace the spirit of constant learning & beautiful imperfection. I learned that juicy tidbit from an interesting source. Almost ten years ago, I was teaching writing & reading skills at a tiny private school for students with learning disabilities. I was creating the writing curriculum at the time & taught almost all of the writing classes there, because I was the resident “Expert” on writing. But I hadn’t written anything just for myself in years. I had written examples for my students, lesson plans for the curriculum documents, emails to my colleagues, a few newspaper articles about learning disabilities & a whole lotta memos…but nothing just for me. 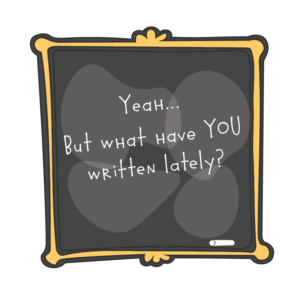 I realized that on a Friday afternoon, while I was teaching middle-school students about the writing process. I was going on & on about how having a notebook just for yourself is one of the most important things you can do to become a better writer. I spoke at length about the mental health benefits; I lectured on the skills & practice you could develop, & I even chatted about how many fun ideas you could come up with, if you just carved out a piece of time & space for them. And that’s when my student looked me in the eye & called me on my BS. I hadn’t written anything – not in a long time. He was trying to point out that I didn’t even like this thing that I was trying to convince them to do. But I do! That’s the crazy part. What he really pointed out to me was the fact that I hadn’t been giving myself this space to play (or plan or sort or de-stress), & I had lost touch with my own Voice because of that. So I started a free-writing journal, & I began to feel again like I could be a Writer. It’s one of the main pillars of how I teach writing. In fact, the #30DaysWithaK free-writing challenge is my favourite & the most popular way to become a part of the With a K Community. You can join it right now for free & start the process toward finding & trusting your own Voice too. Free-writing will always be a part of how I teach, but I practise what I preach now, & that has made all of the difference. 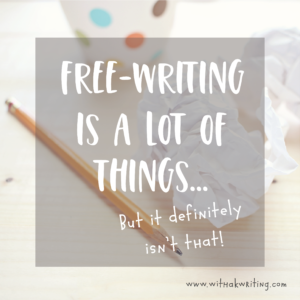 After I gained my confidence back & developed the habit of putting words on paper, I felt a lot more like a writer again…but I wasn’t finishing any projects. I needed a process. 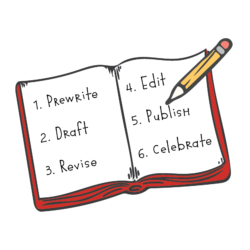 I needed to figure out a way to put together all of the parts of writing: the ideas & purpose, the organization & planning, the playful drafting & the polishing up at the end. pragmatically & realistically in my own life. I took each step of the process & thought about which parts of the mind were used when, & I came up with ways to wake up those parts with new activities & habits. I figured out which times of the day made me feel more creative or more analytical & what bits of the Writing Process would work at those times. I took that basic Writing Process apart & rebuilt it according to my life & the needs I have as a writer…& as a human person, with a life. And I’m still tweaking it today. I know that I can outline things pretty quickly, once I have an idea to work from. I know that it takes a more analytical mindset to do it well, because I’ll be organizing & sorting ideas into a logical framework, so I make sure that I give myself time to do that when my mind is set for that kind of task. Drafting on the other hand takes me longer & needs a more relaxed & creative mindset. I like to get out of the house & move for a bit before I attempt a big drafting project. 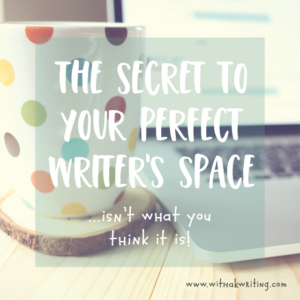 I know that it helps to make a bit of a writing nest for myself too – with snacks, coffee & a nice smelling candle, so that I can feel relaxed & comfortable while I do it. 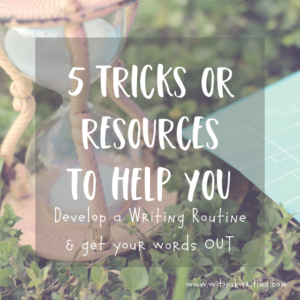 I figured out that I needed to practise every day in order to really be a Writer, & I figured out that I had to create an explicit process for myself in order to be a Writer on purpose. That left me with one remaining problem: I had a lot to say & I could say it well, but I didn’t have a platform from which to say it. I needed to create that for myself too, so after I stopped teaching at that private school for health reasons, I started building. It took me some time & learning & not a small amount of help from friends & mentors – but I built this blog & business from nothing into a place where I can help other women to trust their own Voices, design their own Processes & share their own Messages. 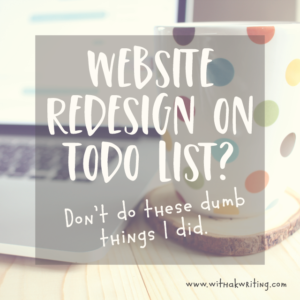 I started the blog only a few years ago, but realized a little while ago that it was time for my little online home to grow & change again because it’s a learning, growing thing – just like I am. I wasn’t in a classroom when I realized it this time. I wasn’t even teaching (maybe that should have been a clue), but I definitely felt that need to re-evaluate & change something. I was actually lying in my bed, hiding from the Winter (because I may be part Canadian Grizzly bear & tend to hibernate through that awful season), & I realized that I hadn’t written for myself in ages. I created worksheets for my students, lessons for my classes, emails to my colleagues, a few blog articles about writing & business…but nothing just for me. So I picked up my notebook & my favourite pen, & I started to create that space for myself again – to play with ideas & plan my dreams & sort my thoughts & destress. And I decided to make that corner-stone of my writing world into an ongoing & ever-changing piece of the With a K world too. The #30DaysWithaK free-writing challenge is getting a reboot, & for those of you who already tried the challenge, but haven’t been able to keep up the practice without ongoing accountability…there’s something coming your way in May – so keep an eye out. It is a changing thing, just like you are. Embrace that! 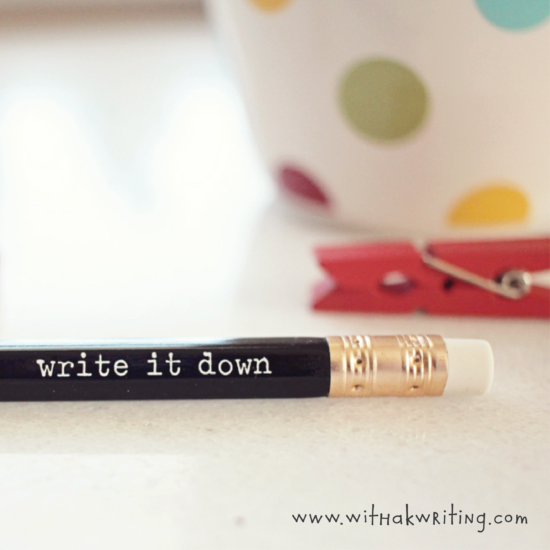 Enjoy it; it’s what keeps your writing fresh & interesting – for you & for your readers. Now go get your notebook ready, because it’s time for you to be a Writer too. 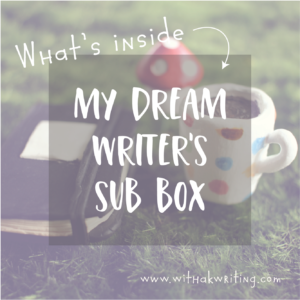 Comment below with the things you do to feel good while you write, & don’t forget to sign up to hear from me (there’s a big box in the sidebar for that), so that you don’t miss the new #30DaysWithaK challenge & all the other goodies I love to send your way. ← Stop Trying to Find Your Voice. Try trusting it instead. I ADORE this post! 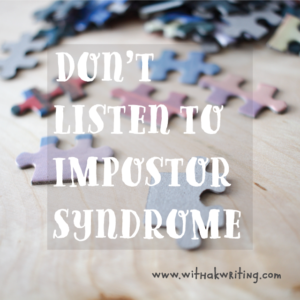 It’s so easy to get caught up in the idea of the writing life and actually act on the tips we ourselves are saying to other writers. Looking forward to reading more of your blog posts. Such an inspiring post! I became such a better writer when I did your 30-day challenge. I so need to do it again!!! My little sister actually wants to become a writer. My big block is that I “can’t be a writer because that’s what my sister wants to do”. I’m trying to break through the mindset block. Tips? I’m glad the challenge helped you, Sacia! I would say that the best thing you can do is make writing something that you do for yourself. It’s not necessarily a title, right? So you can use your notebook & your voice & your process & your platform to share the things that YOU want to share.